Stephen’s dad has moved their two-person family across the country to New York City, where he is taking over as head chef in an exclusive hotel. A hotel that has the most elite of clientele: monsters (though they prefer to be called supernormals). Surprise! And an even bigger surprise? Stephen is part supernormal himself. When a magical family heirloom is stolen and Stephen is framed, he must work with two new friends to navigate this whole new world and clear his name. After all, consequences can be dire in the world of monsters. 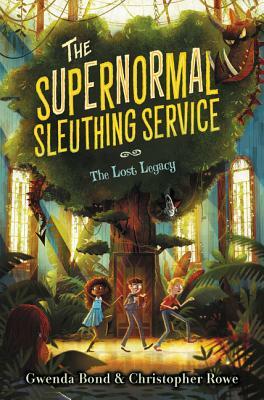 Spooky, funny, and full of monstrous hijinks, The Lost Legacy is an inventive and accessible mystery-adventure full of friendship and humor—perfect for fans of Pseudonymous Bosch and R. L. Stine’s Goosebumps series.